Insomniacs would pay big money for that main event! Because It's dull, You Twit. It'll Hurt More! Well, if you could make it past the snoozy matches there were some fun moments. I kinda wish they would make the "looking back on wrestling history" a thing. I mean, it's three friggin hours - wouldn't hurt to switch things up a bit now and again. 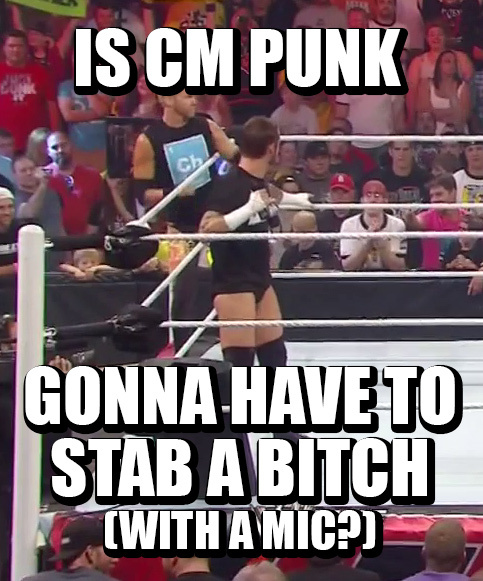 So about a year ago Dolph got kicked right out of a gif! 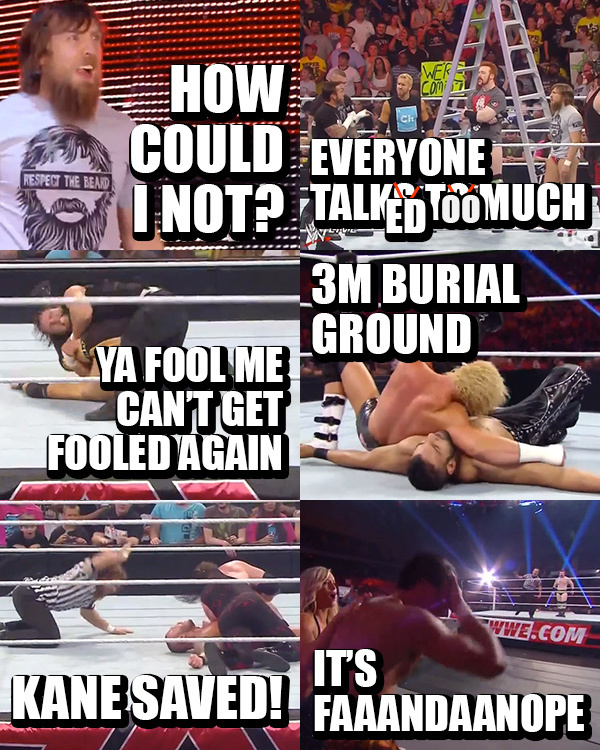 Here's RAW from one year ago..
My next recap will probably be Money in The Bank, see you guys then! - Wont be fooled again! - The *real* Robin Hood, according to my childhood	- Promo leading up to the famous Undertaker/Dr. Frankenstein feud	- Gonna miss the PPV intro :(	- That other time I marked out for Jinder	- A pattern of behavior? - Sammartino's Twitter	- Starrcade 1997 Highlights - I was looking for footage of the Nick Patrick "fast count" and came accross this. Guerrero v Malenko. Good lawd.